Soggy Salad Lettuce Won't Happen In My House! Soggy Salad Lettuce Won’t Happen In My House! Some of the links in the post below are "affiliate links." This means if you click on the link and purchase the item, I will receive an affiliate commission. Regardless, I only recommend products or services I believe will add value to my readers. My husband takes a salad to work EVERY single day! He loves it! Plus, it's pretty cheap and quick to throw together no matter how late he's running. The problem with some of the containers I've bought in the past were that the salad dressing container or some other “separator” caused leaking which lead to soggy and gross lettuce. Rubbermaid’s pristine 100% leak-proof food storage container, BRILLIANCE, now comes perfectly designed for ready-to-go meals and snacks. With customizable insert trays and dividers, the BRILLIANCE Snack & Salad Set is your all-in-one solution for taking lunch on the go! 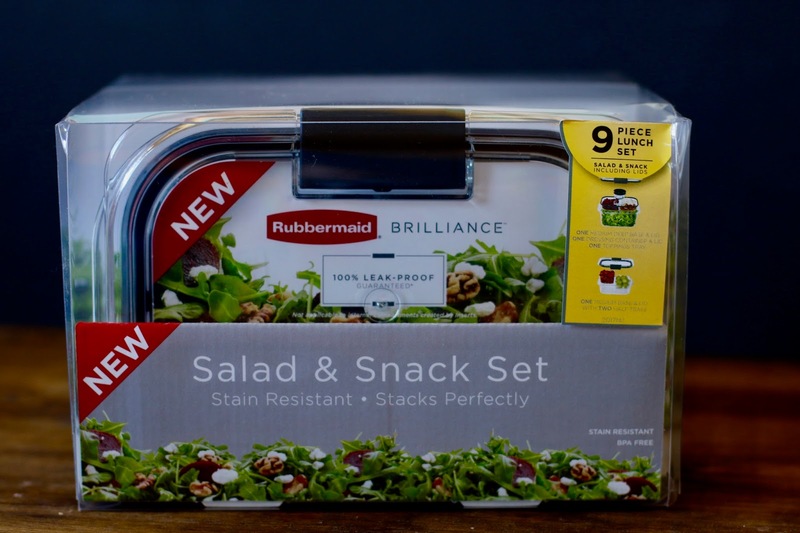 So you can give the new Rubbermaid BRILLIANCE Snack & Salad set a try for yourself, one lucky winner will have the chance to win a set. So once and for all you can say good bye to the soggy lettuce and hello to that yummy delicious salad you enjoy! Or of course you could throw some other snacks or meals into the containers, also. Winner will be randomly selected by PromoSimple and will have 48hrs to respond to the winning email. Failure to respond will mean forfeiting your prize and a new winner will be chosen. Good luck!